The unlikely story of two Israeli climbers, an affable Bedouin Muslim, and a professional American climber as they work together to complete a climbing route up Wadi Rums’ largest rock formation. 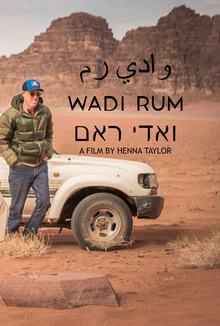 Set in the expansive landscape of Jordan’s distinctive national park, “Wadi Rum” documents the unlikely story of two Israeli climbers, an affable Bedouin Muslim, and a professional American climber as they work together to complete a climbing route up Wadi Rums’ largest rock formation. Three years ago, Israeli climbers Eliav (Eli) Nissan and Elad Omer began working on the ‘Sultan El-Mujahidin,’ in an effort to re-introduce this area back into the modern climbing community. In the final stage of this project, American-Climber Madaleine Sorkin arrives to help them finish the job. Led by Bedouin guide Mohammad Hussein, Eli, and Elad this film documents the creation of the ‘Sultan El-Mujahidin; interwoven into glimpses of daily Bedouin life. Emerging filmmaker Henna Taylor combines breathtaking imagery, meditative editing, and the relationships of these four unlikely friends into a profound documentary that reminds us that the imaginary walls we create can often prevent us from understanding a simple beauty that lays waiting just beyond. Shane McConkey Award - Wasatch Mountain Film 2018.